“There’s width and depth in a player’s ability,” says bassist Gary Peacock, reflecting on 25 years spent exploring standards with Keith Jarrett and Jack DeJohnette. “Width involves technique, sense of time, all the objective aspects of a person’s playing. Plenty of musicians have width. It is sometimes thought that the songbook idiom has exhausted its surprises. But this entity continues to prove otherwise. The group began an outstanding streak in 1999 with the two-disc set Whisper Not, their first release since Jarrett’s recovery from myalgic encephalitis (chronic fatigue syndrome). “I think it was music that fed Keith, helped him heal,” offers DeJohnette. The subsequent efforts-Up for It, The Out-of-Towners, Inside Out, Always Let Me Go and a new two-disc standards document, My Foolish Heart, recorded in Montreux in 2001-convey a sense of steady momentum. In his recent book, Coltrane: The Story of a Sound, Ben Ratliff describes Coltrane’s late-’50s work after kicking drugs as “victory music.” There’s something of that quality in Jarrett’s current phase as well. This month, ECM will reissue the first three trio albums-Standards, Vols. 1 and 2 and Changes-in a three-disc box titled Setting Standards. Jarrett and his co-leaders, having reached this promontory, are poised to look back on where they’ve been and what they’ve achieved. “In Japanese flower arranging,” Jarrett says, “two flowers is wrong, four flowers is wrong. Three flowers is OK.” He is sitting at a cluttered mahogany desk, in the secluded New Jersey home he shares with his second wife, Rose Anne. DAT recordings of all his recent performances are carefully labeled in a rack on the wall. The back shelves can barely contain all his audiophile stereo components, including a frequency converter, tube and solid-state headphone amps, even a laser LP player. As we talk, he douses his eyes with drops, then swallows about 20 charcoal pills in half an hour, trying to stamp out any vestige of illness. 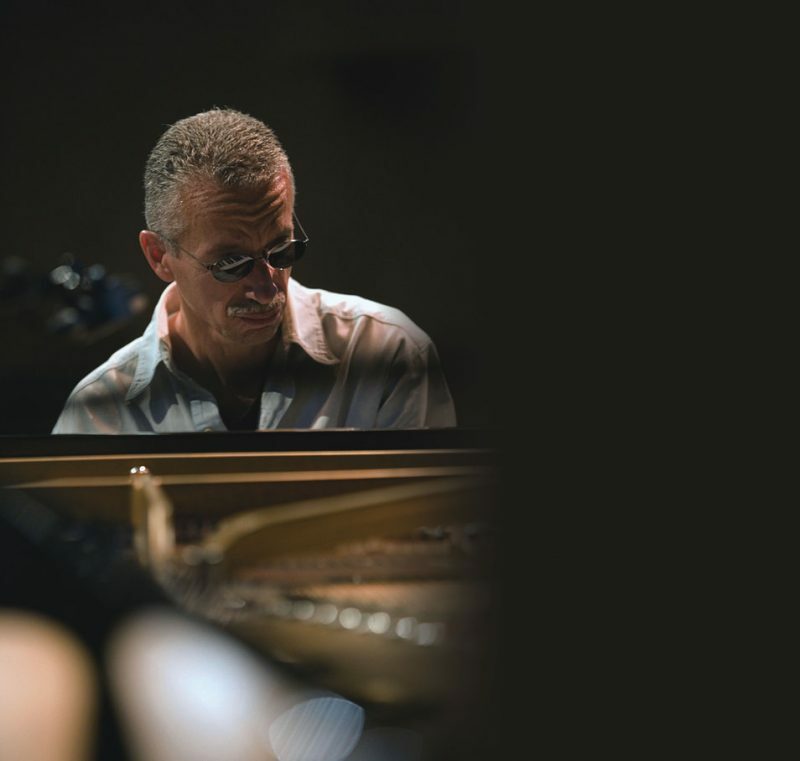 Now 62, Jarrett has spent much of his career as a single flower, an improvising solo pianist. On his 2002 rarum retrospective for ECM, we hear solo piano, clavichord and organ; the famed “European” quartet; and such multi-instrumental tangents as “Spirits.” Only three Jarrett/Peacock/DeJohnette tracks, all originals at that, made the cut. “I didn’t feel standards fit the concept [for rarum] at all,” he explains. This raises the question: How does Jarrett understand the place of the trio in his enormously varied output? There is another uncanny example of restraint during “My Foolish Heart” itself: When DeJohnette changes to sticks and swing takes over, Jarrett plays the melody, and only the melody, for the first time in the tune, from roughly bars six through eight of the chorus. Rather than launch a fusillade as one might expect, he pressurizes the time, keeping it relaxed and explosive all at once. With just a melodic fragment, he opens a secret door. Peacock and DeJohnette follow him through it, gladly. There is a deep genealogical connection, if not an overt musical one, between this group and the classic Bill Evans trios. Peacock was playing with Evans at the Village Vanguard in the early ’60s when the bassist first met Jarrett. Paul Motian was the drummer. “Keith looked so young, I wondered what the hell he was doing out so late,” Peacock recalls. Soon DeJohnette cycled through the Evans trio himself; he also bonded with Jarrett as a member of the Charles Lloyd Quartet. By the late ’60s Motian was in Jarrett’s first trio, and later, his “American” quartet with Charlie Haden and Dewey Redman. We get a tantalizing early glimpse of Jarrett playing standards from Buttercorn Lady, a 1966 album by Art Blakey and the Jazz Messengers. Jarrett, at 20, was part of a Messengers lineup that included Chuck Mangione and Reggie Workman. He plays note-perfect rhythm changes on “The Theme” and five choruses of hyperdrive swing, a tempo rarely if ever touched by the current trio, on “Secret Love.” He follows Mangione with an elegant double-time chorus on “My Romance” (a Bill Evans specialty). He plucks the piano’s interior-perhaps the only instance of this in the entire Messengers catalog-on Mangione’s “Recuerdo,” hinting at the experimental sounds he’d soon conjure in his solo work. A few years on, in 1977, Peacock was planning the ECM trio session that would become Tales of Another. “I knew I wanted Jack,” he recalls, “but I wasn’t sure about a pianist. I was out of the loop at the time and hadn’t heard Keith. So I asked Manfred [Eicher, ECM label head] to send me some of his music.” Needless to say, it passed muster. Peacock played with Jarrett for the very first time at the Tales of Another session. He approached the pianist soon after about some touring, but Jarrett declined, preferring to focus on solo concerts. 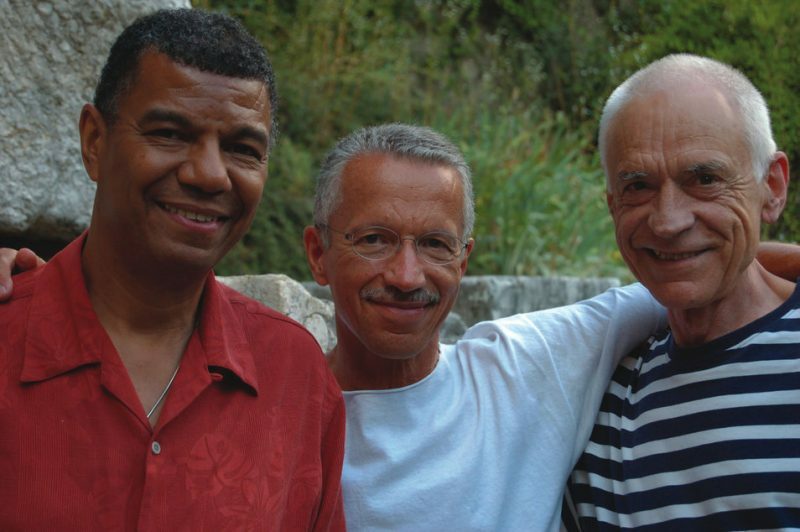 Eight albums later, with the trio’s reputation building, a unique circumstance arose: DeJohnette couldn’t make a concert. It was at the Deer Head Inn, in Jarrett’s hometown of Allentown, Pa., where he had played his first professional jazz gig at age 16. The resulting album, At the Deer Head Inn (1993), is an anomaly in the trio catalog, warm and beautifully realized. Lucky for us, it is possible to compare four of the tracks-“Solar,” “Bye Bye Blackbird,” “You Don’t Know What Love Is” and “It’s Easy to Remember”-with the DeJohnette versions on Tribute, Bye Bye Blackbird and At the Blue Note. Two master drummer/composers, two distinct approaches to swing and ballads: DeJohnette, playing a larger kit, is more apt to fill space and break up the pulse, whereas Motian zeroes in on the ride cymbal and snare and coaxes an even, flickering rhythmic flame. Jarrett responds exuberantly, but differently, to both. In freer contexts, of course, Motian is the furthest thing from a straight-time player. To spin At the Deer Head Inn back to back with the 1999 album Not Two, Not One, featuring Motian and Peacock with Paul Bley, is to straddle the space between parallel worlds. 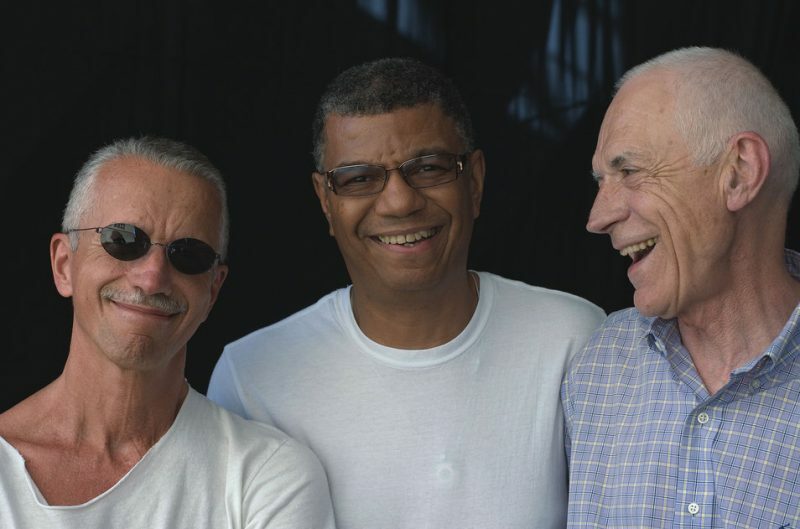 While Jarrett, Peacock and DeJohnette don’t necessarily distinguish between playing free or probing a ballad like “Smoke Gets in Your Eyes,” their two recent albums of open improvisation, Inside Out and Always Let Me Go, highlight a different aspect of trio history. All three players have roots in the jazz avant-garde. DeJohnette is an AACM man at heart, with a deep affinity for such figures as Lester Bowie and Wadada Leo Smith. Peacock, not two years after his Bill Evans stint, was playing with Albert Ayler. Jarrett’s American quartet was part of the Ornette Coleman lineage in terms of personnel, multi-instrumental practice, folk-oriented melodic concept and so forth. The recent free recordings came about naturally: After a lackluster soundcheck in London, the three opted to abandon standards for the night and wing it instead. Less than a year later in Tokyo they did the same. Most of the free pieces on these albums are credited to Jarrett, although two of them bear collective authorship. “We had little conferences about that,” Jarrett says. “It was an amicable and interesting process. What happens is if you could tell the germination of the piece came from something I played, that was one thing. If there was an interplay that caused something to become what it did become, then that was a different story.” Peacock describes improvising in this way as a kind of inquiry: “What does the next moment want? What does the present moment want?” The degree of empathy required is enormous. Jarrett has been chiding audiences for “getting in the way of their own experience,” as he puts it, since at least the early ’70s. Music, for him, requires total concentration on the part of players and listeners, and he has never been shy about objecting to crowd noise and other distractions. In The House That Trane Built, author Ashley Kahn quotes him inveighing against applause during a Vanguard gig. Jarrett’s admirers have come to expect this sort of thing. But there was genuine surprise when he unleashed a foul-mouthed tirade against photographers at the Umbria Jazz Festival, in Perugia, Italy, on July 10, 2007 (the pianist was banned from the Umbria fest for life the very next day, though there are unconfirmed reports that the ban is being reconsidered). What irked people wasn’t just the coarse language but also Jarrett’s threat to “leave the goddamned city,” seemingly a slight to the whole audience and the festival itself. This being the digital media age, the moment was caught by a fan on video and spread around the globe via YouTube. Jarrett’s tantrum elicited counter-tantrums; one DownBeat reader called for a worldwide Jarrett boycott. Earlier in our discussion, there is a moment that brings home Jarrett’s single-minded intensity, his need for absolute focus. Rose Anne, his wife, begins to talk on the phone in another room, just barely audible. Jarrett cannot continue. He halts the interview, excuses himself and asks her-gently, lovingly-to close the door or talk somewhere else.